Piecing together Noah and Matilda's life is still a work in progress. Each time I find a verifiable primary source, a new question comes to mind. With a large family and a 217 year span - there is a lot of important information to cover. There's also the curiosity factor. When I found they lost a grand daughter and daughter in law, curiosity led me the the smallpox and typhoid outbreaks in the 1860's. I've included my draft notes below for anyone also doing the genealogy to compare notes. Feedback welcome! (deb3891 - where are you?) 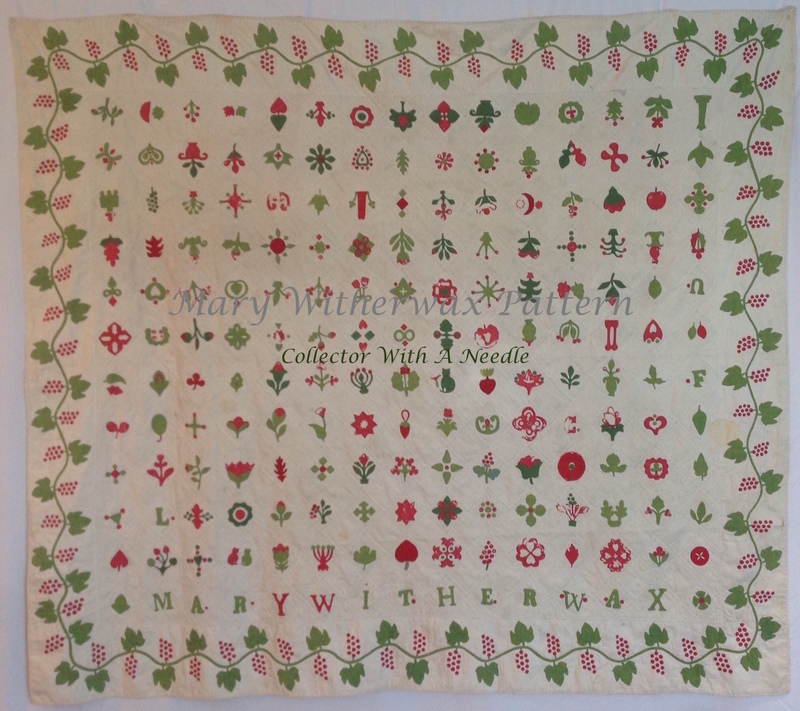 My local genealogy group finds it very interesting someone would spend time researching a family based on a textile. I think it is a good topic for a future meeting presentation. 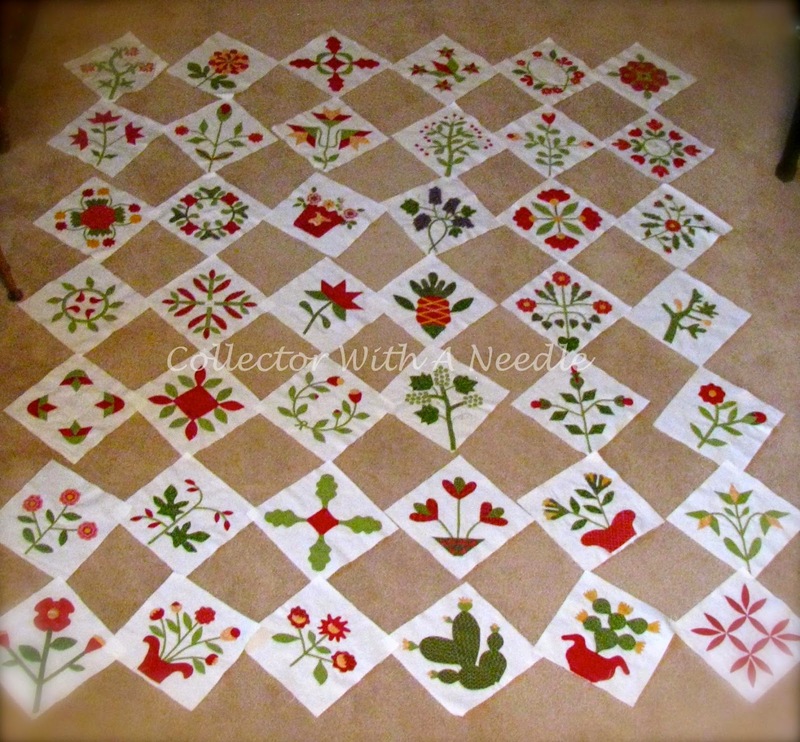 The last pattern set is posted - the complete pattern is now available. 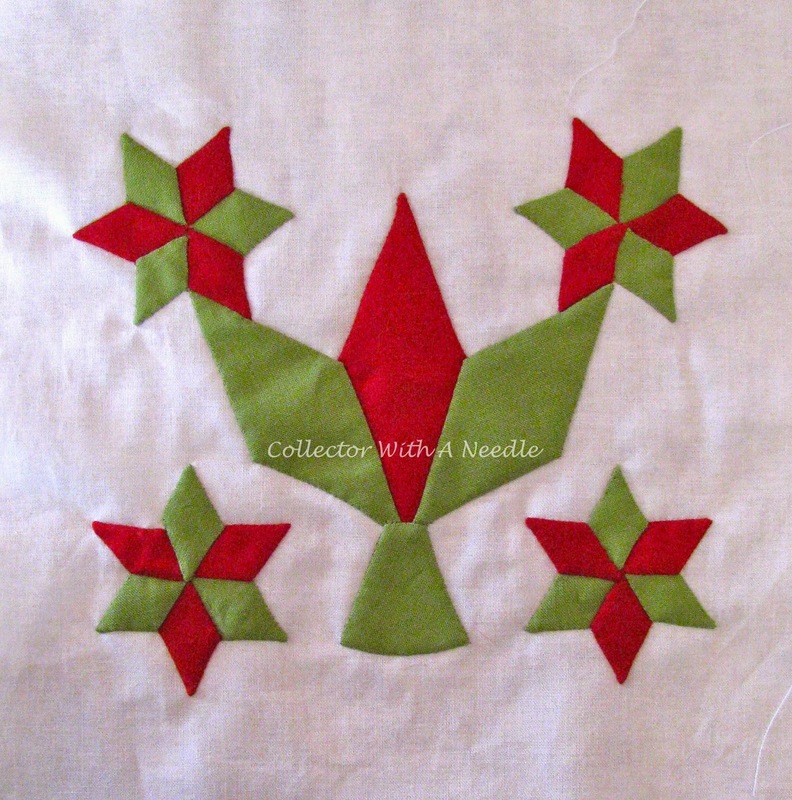 All 12 pattern sets are posted HERE. We've been asked about paper patterns and plan to have those available in January. We have enjoyed all of your enthusiasm and support with this project. 1790 William (b1760-70?) and Abby settle in Lytle's Fork, Scott Co KY - From Delaware Where in Delaware? 1797 July 16 Matilda Miles Toadvine Born Where was she born? Parents? 1798 January 15 Noah born in Scott Co KY Manoah? 1821 Noah and Matilda Married July 20 Harrison County KY Marriage bond signed by Charles Miles? 1835 Evaline C born to Noah and Matilda June 15, Morgan County IL ? Matilda was not able to travel w Noah in 1835 due to pregnancy? 1856 Approx wedding year Danial and Sarah Need marriage record 55/56/57? When I read Audrey's post about her Tree of Life quilt, it motivated me to get mine out. It was time anyway with our windy and cold weather. This is a quilt that is used most winters. I love this pattern! Another reason why Audrey's quilt resonated with me. Mine is scrappy green and brown prints in the leaves, A variety of brown prints for the trunks. Machine pieced and machine quilted by me. If I were to remake it I think the alternate squares would be a red print. Here is a closeup of a block. You can see the prints I mixed in. 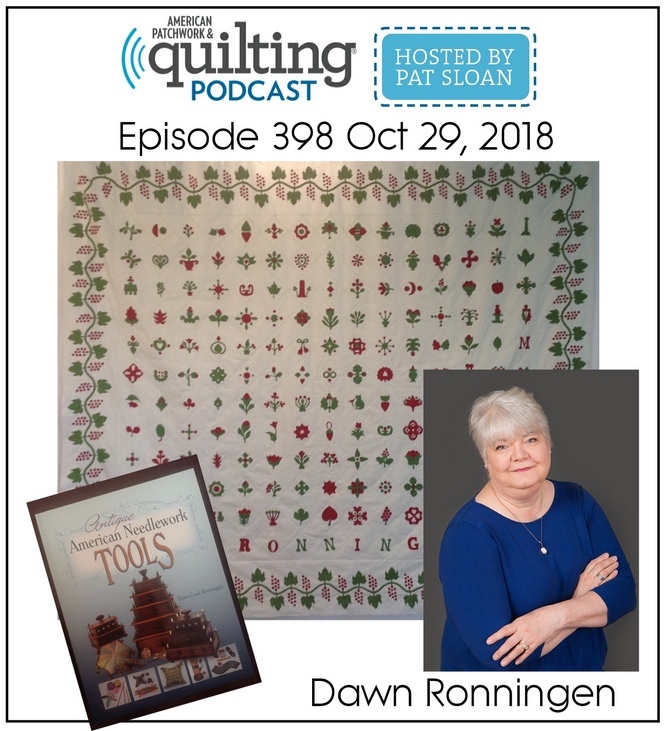 The machine quilting is so-so. All cotton Aurofil thread and Blue Ribbon batting. 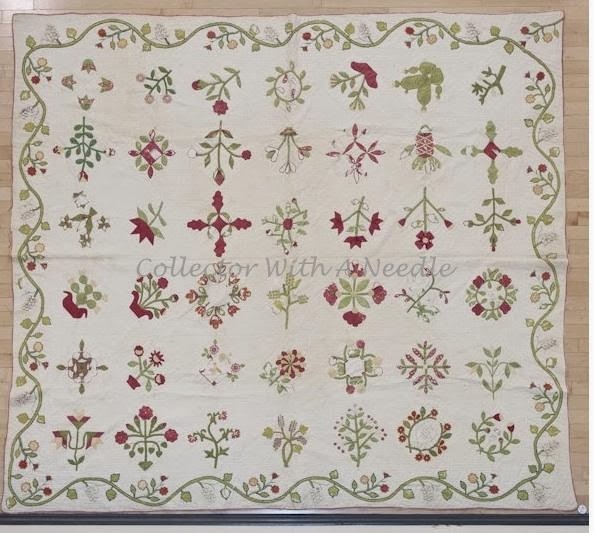 I enjoy using a quilt and I can see all the reproduction prints. I also like the touches of blue, red, pink mixing with the green. That's 30 HSTs x 16 block = 480 HSTs Not bad. I paper pieced them by the sheet. Several washing later I think about maybe not using it, but I think it is OK to wear some of these out. I machine wash and dry it on gentle at the end of the winter season. Excuse the poor photo - with my helper these days I have to move quickly. Quilts become napping spots in a matter of seconds. It is wonderful to hand stitch with her curled up in my lap. We keep each other warm. The back is a green bird toile reporduction print. After all, there are never too many birds in the trees. 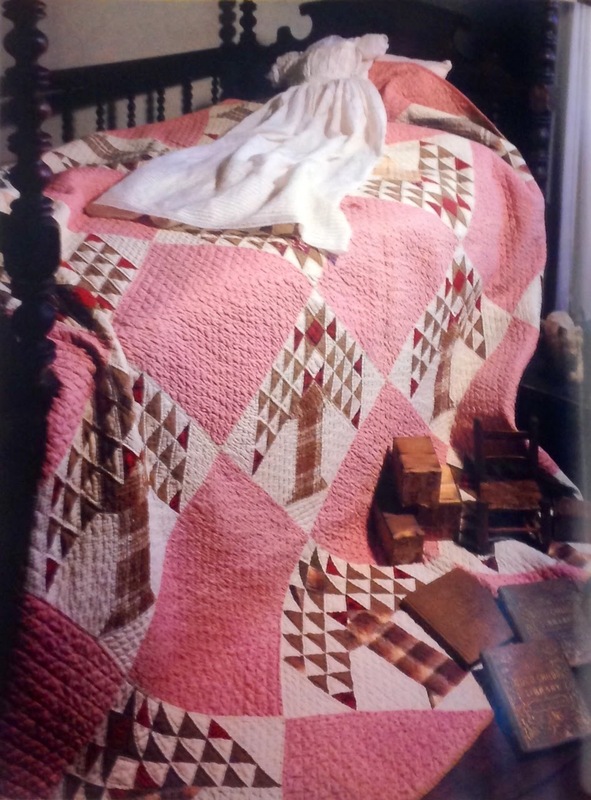 This is the antique inspiration quilt from the book. Beautiful display. You can see why I was inspired to use pink in the alternate blocks. I really like the plaid tree trunks. I used a few plaids in mine, but never enough! Great touches of red. 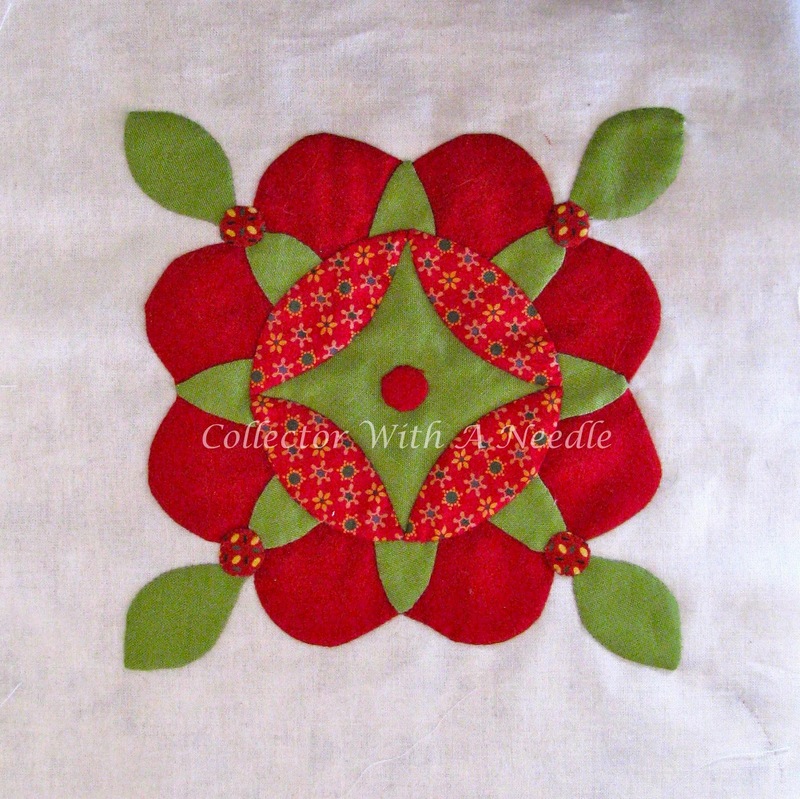 You can also see the straight line quilting in this example. All the antique accessories and bed add so much. 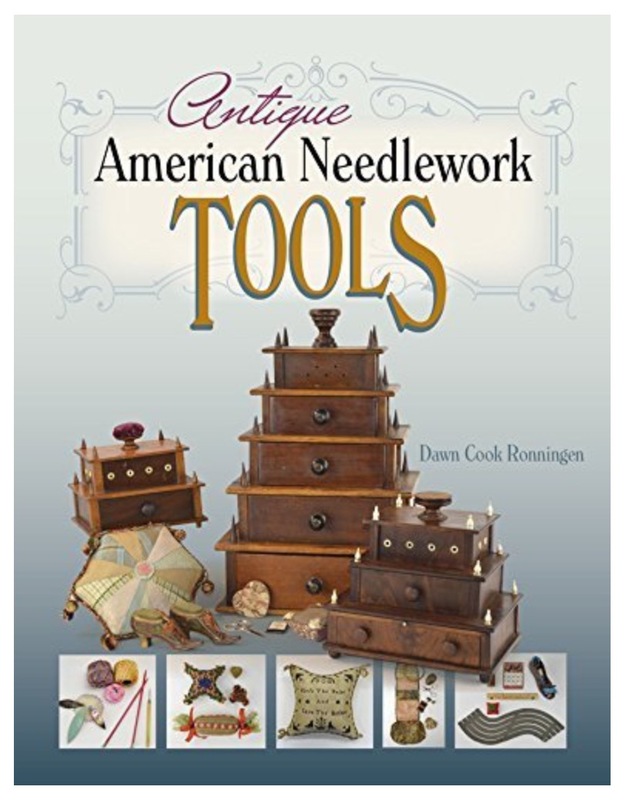 There are so many freat used books at guild and museum sales. I was at a standstill selecting fabrics for the graduation quilt. I made a monumental decision...I'm cutting and including some of the fabrics I thought I might never cut. 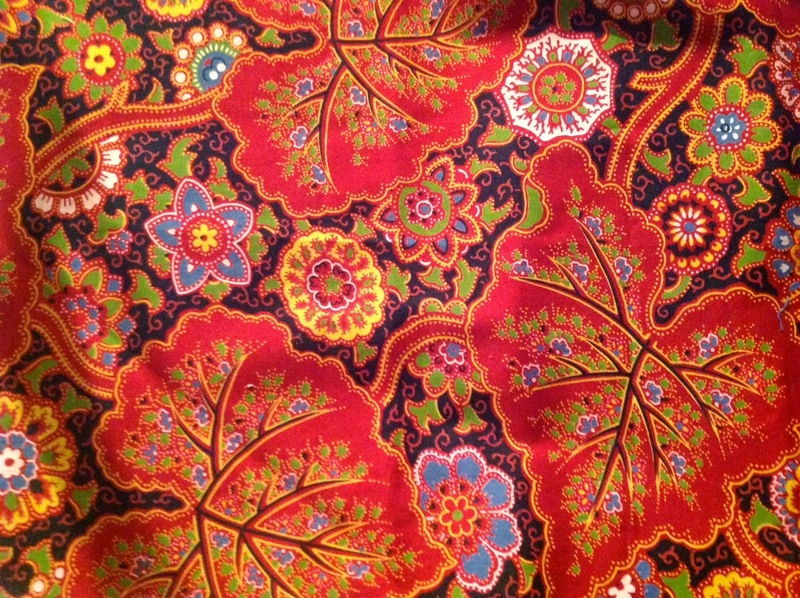 I wish I had yards of this fabric. 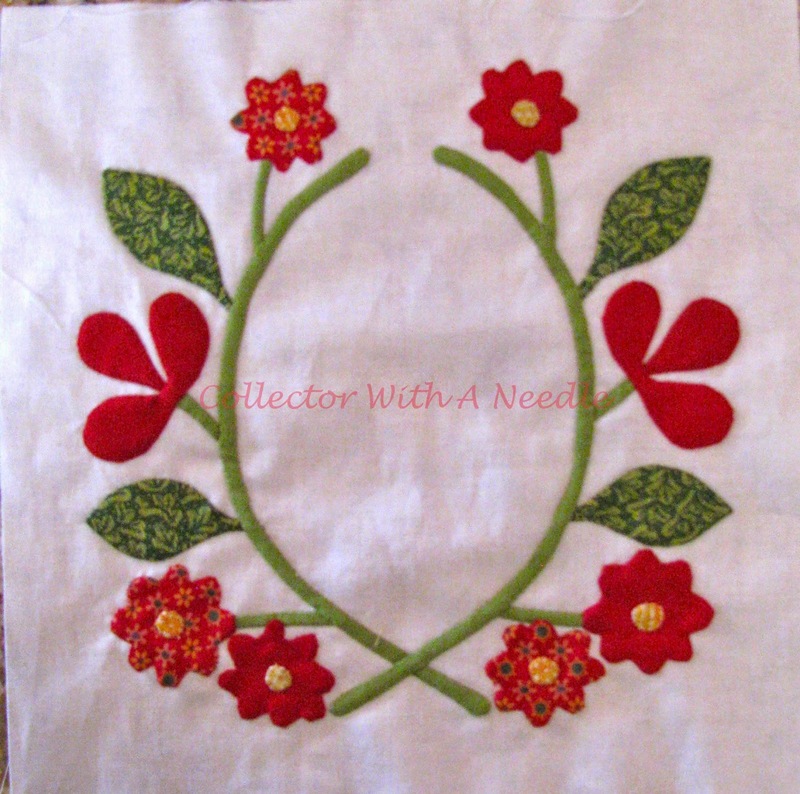 What better reason than to include a beloved fabric in a quilt for a special person? Snip - snip ... after all, it's just fabric! We are expecting our first snow this week. Yesterday I marked a quilt and got it in the frame. 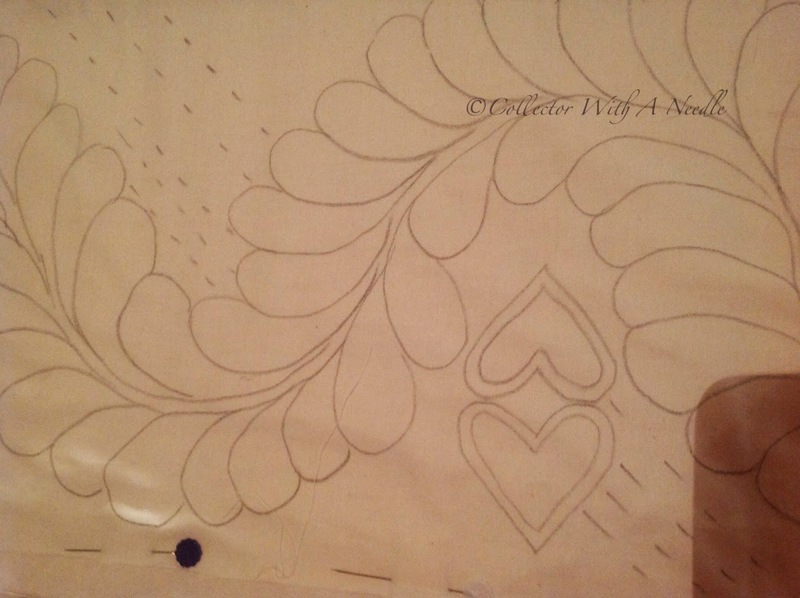 I will have all the outline quilting done by the time the graduation project is a top - so I think my timeline is still OK. I can only hand quilt or machine piece so much in one day. Rotation is a good thing! I have marked for years with General's Sketch N Wash pencils - have never had trouble with it coming off when the project is done. It is usually all gone by the time the quilt is finished. Month eleven includes three patterns. Next month we are back to four. As with other months, there is no shortage of fun and a bit of challenge. This block is ideal to ink your name and date - or quilt your name and date in the center. I chose to mix prints and solids, and not make the use of prints symmetrical. I am trying to exercise constraint selecting my fabrics. I tend to avoid solids. Using them in this project was good for me. All of the blocks were completed using back basting. This block looks symbolic to me. I find it interesting the maker has the top stars sitting on the larger center shape. Have you ever seen this block or shape? I completed mine using back basting. It went together quite quickly and I am pleased with the results. Have I mentioned how much I love these blocks? Have you seen a block like this one? I did it all with back basting. At first I thought it looked hard. I tackled it piece by piece and enjoyed every stitch. Again, I chose to mix solids and prints. You will find the block sets HERE. All eleven sets are still available. 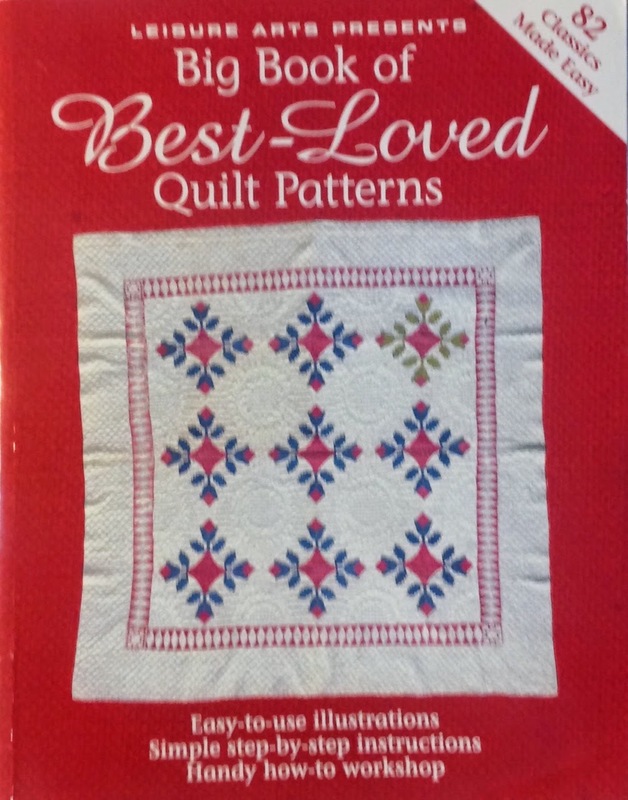 We have new quilters starting each month. I think Matilda was very creative!